Most pests are merely nuisances that can’t cause bodily harm to humans (though they can certainly cause damage to buildings). 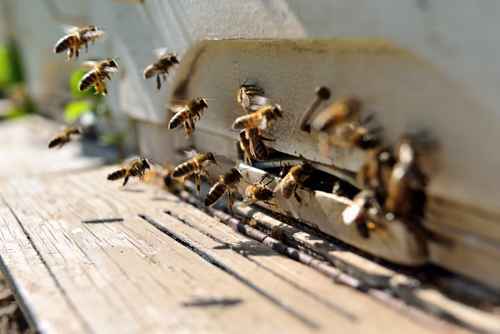 Bees, however, can leave a painful sting, and when they attack in mass, this can be extremely painful and even deadly. They also nest in various places, including the ground, and unknowingly walking over such a nest can quickly provoke their ire. To locate and eliminate dangerous bees’ nests from your home and property, you should call on a professional. Buckmaster Pest Control has the needed industry knowledge and experience to eliminate bees in your home and on your property and deliver treatment to prevent future infestations. There are numerous species of bees and they each build different types of nests in various locations. Some prefer nesting in the ground, while some prefer trees. Some even prefer to nest on or inside buildings. While some nests are easily visible, many nests are hidden away underground, inside soffits, or even inside walls. It takes a professional to identify and eliminate all nesting locations. To eliminate a pest, rely on the best. Call Buckmaster Pest Control at (269) 649-5432 to have Kevin safely address all your commercial & residential pest control needs.